This chapter studies the relationship between personality and financial culture using survey data for 3200 Mexican youths, ages 15–29. Personality is measured with the Big Five. Financial culture is measured using 41 items grouped into eight separate “aspects” of financial culture, and summarized in a single index using principal component analysis. 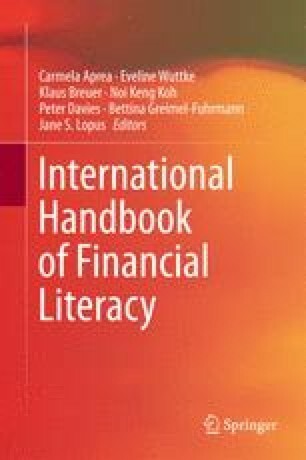 The results show that: (1) personality traits matter differently for different aspects of financial culture; (2) all Big Five are significantly associated with the index of financial culture; (3) the relationship between personality and financial culture differs by respondents’ age, even within youths. In conclusion, the variation in results observed in the literature in terms of which personality traits are associated with financial culture might be explained to some extent by differences in both the aspects of financial culture analysed and the age of respondents in the samples used.